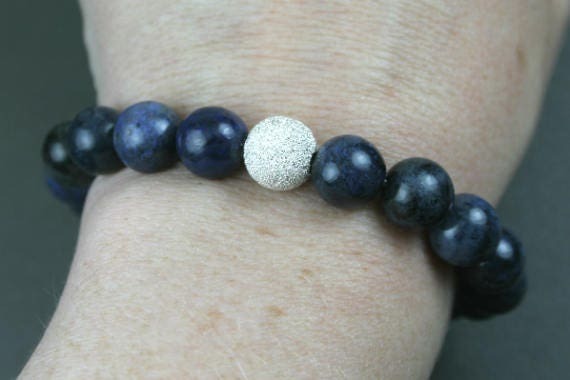 This bracelet is made from 10 mm round blue dumortierite beads with a 10 mm stardust sterling silver focal bead. 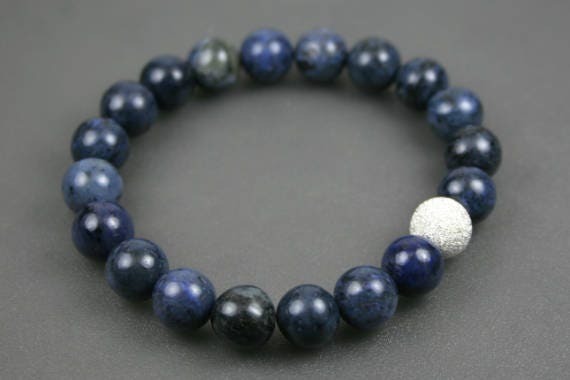 Blue dumortierite, also called "blue denim stone," is an aluminum borate silicate whose colors vary from medium to dark blue. This is a natural stone and may therefore vary slightly in color and patterning from bead to bead. The bracelet pictured may not be the actual one you receive. 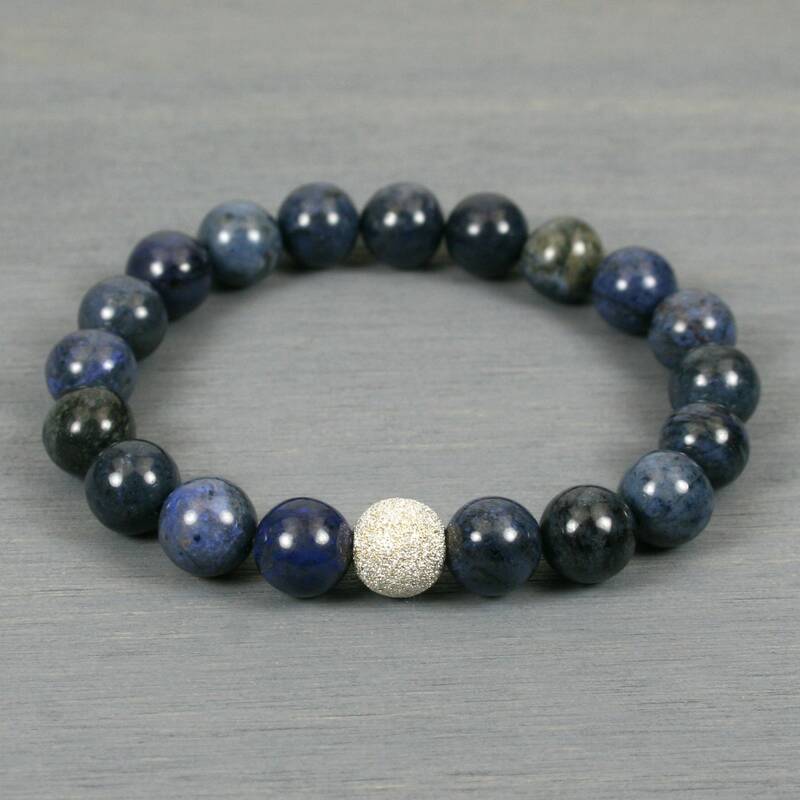 Dumortierite is known for promoting support, patience, and calm. The sterling silver focal bead has a stardust reflective coating that adds an elegant sparkle. 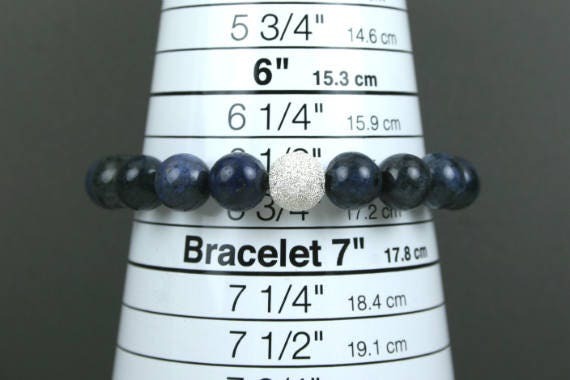 As shown, it is sized to an inner circumference measurement of approximately 6.5 inches where it touches the wrist (see image 4). 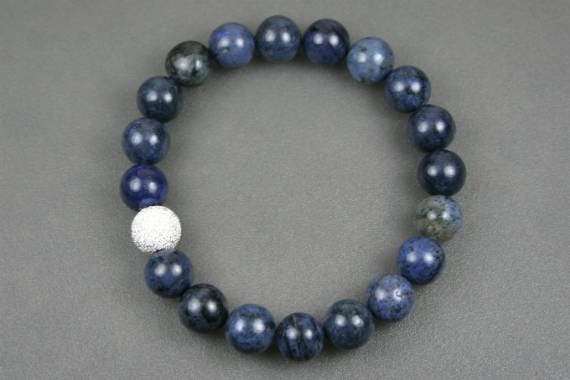 The size can easily be adjusted with the addition or subtraction of dumortierite beads for no extra charge. If you need a different size, leave a note with the size you desire in the comments area of your order, and I will re-size it for you prior to shipping.